You can learn photography faster than ever if you know the necessary shortcuts and how to simplify the process. I will teach you how to create amazing photos and even sell them, whether you use a smartphone, mirrorless or DSLR camera. 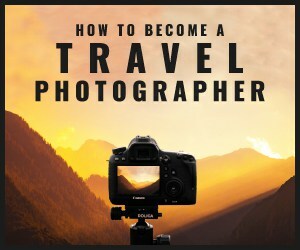 It can be hard to know where to start when learning photography. What is the first step? What is the second? And what is behind all the technical, confusing terms like AF-C, CMOS and Megapixel? I will explain all the important terms as simply as possible. I am a strong advocate for keeping things simple. On this page, you will find a list of my best articles related to learning photography faster than ever before – whether it is composition, how to photograph wildlife or how to start a successful photography business. The tips are broken down into categories so you can find the information you need very fast and effectively. In the end, only the result counts. I will not distract you from the actual subject with long discussions about technique or historical developments in photography. You can read all this stuff on Wikipedia. Nobody asks a painter with which brush he has painted his picture. Only when looking at photos people curiously want to know which camera was used. I will tell you a secret. Not the camera takes good pictures, but the photographer. If you know about things like image composition and the assessment of lighting conditions and if you can operate your camera blindly, a cheap Chinese toy camera for $20 USD is enough to take pictures that will win contests and be published in National Geographic. Of course it is more fun to work with a terribly expensive full-frame camera that offers all the technical intricacies. But as long as you do not master the basic techniques, even the most expensive and best camera will only produce bad photos. Just take the camera or smartphone you already have at home and learn photography faster than ever. If you do not understand all the things I write about in this series of articles, a personal mentor may guide you through all aspects of photography. In our Travel Photography Masterclass you can look over the shoulder of a professional photographer who has worked for the BBC, National Geographic and many other well-known media. Just click on this link for more information. Next PostHow does a camera work?